In this data-driven era of technology, almost all websites and apps have one thing in common. That’s text validation for their data input forms and pages. 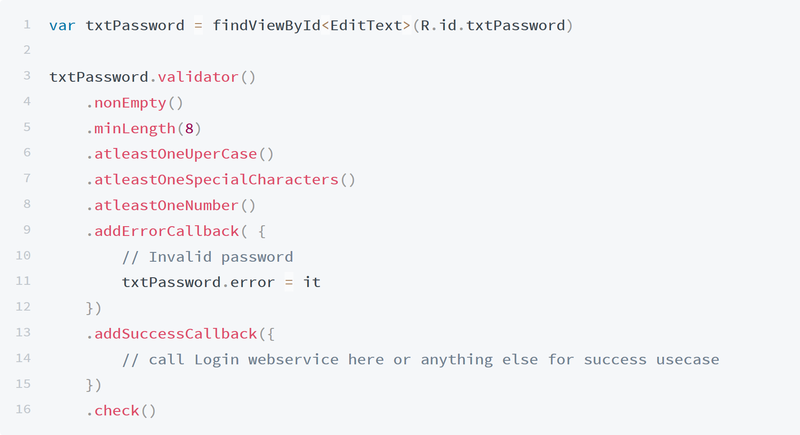 This task of validating input and text before calling web services and APIs have become a routine for developers. In Android, this sometimes become too complex and tedious to perform validations and checks on multiple EditText and TextInputLayout views. Specially, when it comes to perform multiple checks to make sure that your user’s password is unbreakable and complex. These kinds of tasks often becomes boring for android developers and can cause major security vulnerabilities if not managed properly. **EasyValidation **is an android library developed in Kotlin to provide an easy-to-use way to perform validation checks on any Text input through any String ,EditText , TextView , AutoCompleteTextView, TextInputLayout, and Spinner using the power of Kotlin Extension method and higher order functions. In future, more views will be added in this list. There are around 30+ built-in rules in the **core **module library such as email, empty, number, credit card number etc. You can check all these in Rules page. You can see how easy is to perform multiple validation checks. One thing to note here is the check() method. When you perform multiple validations, you will have to manually call check() method in order to start validations. In single validation, this method is called automatically. Along with 30+ built-in rules, you can create your own custom rules very easily. 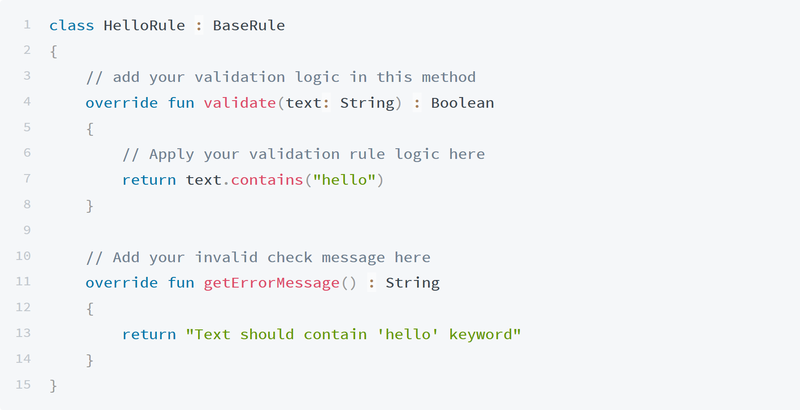 First step is you have to create your Rule class by extending BaseRule or any other existing rule like this.